We offer a range of web design solutions for every size of business, from your first web presence to develop company brand image. All our websites are custom built using proven techniques to provide excellent functionality and customer experience. 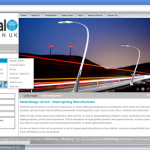 We look at your business and build a bespoke design ideal for your company and industry. We offer a range of search engine optimisation solutions for both new and existing clients, this services is designed to boost your search rankings in all the major search engines. We use long term organic methods and offer a contract free solution. We understand how important search rankings are to expanding your customer base. Your eCommerce Website is your open all hours shop window and your 24/7 sales assistant, we make sure that your online presence represents your company online, in order to convert you search engine rankings into sales and profit. We use various solutions dependant on your requirements from fixed listed websites to dynamic multi-channel systems including Epos, Stock Management and Customer Order Management. A new business needs lots of things to get off the ground: stationery, a logo, a website, marketing literature. Sound like a lot to get organised? Don't worry - we're here to help you out. To make things nice and simple, our business start-up pack covers everything you'll need - at a great price and because all our clients are different, our service is designed to suit you. Did you know in the UK 15 million browse online on their phone everyday? We have a range of Mobile Solutions including mobile site design to continue your company branding onto your customers smartphone. To iPhone and Andriod app design for various industry sectors, to specifically designed mobile shopfronts for you eCommerce Sites. Making your company stand out from the crowd. We offer a full range of graphic and stationary design, from full colour brochures to business cards, and magazine adverts to NCR Invoices. We use the latest design software to create the perfect solution for you. We can provide branding services, including logo, exhibition display, signage and packaging design. Why choose us to design your website? "Here at CD Web Design we pride ourselves on offering our clients a truly dynamic, cost effective and professional Web Design service. We are passionate about creating successful sites for our clients and we are experienced in all areas of Web Design and Search Engine Optimisation." We also firmly believe in excellent communication with our clients. From an initial, no-obligation consultation with your designer - who is always just a phone call away. So whether you're looking for bespoke website, starting at £399, or a dynamic eCommerce website; please complete our online contact form. In the grid below, you can find a small selection of web design examples taken from our portfolio. 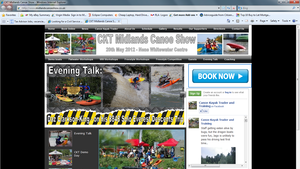 Simply hover over or touch a website thumbnail to reveal additional information. To read the individual case studies, simply click on either the website's URL link within each pop-up. Don't forget that many more website design examples can be found in our complete web design portfolio. 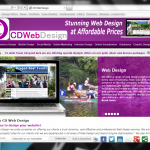 Where are CD Web Design based in the UK? We are based in Leamington Spa, Warwickshire, but regularly travel to meet clients around the UK. We design your site in such away that it is google friendly, and we then submit it to google. 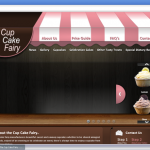 Does CD Web Design outsource any web design or development? No, we never outsource any work, as we find this allows to best manage the project and provide the best service to you. 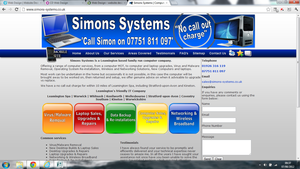 How do you charge for your Web Optimisation (SEO) services? Do CD designers use template designs? We don't use templates for any of our designs expect our entry level template websites..
We aim to serve as a single point of contact for all of your online needs, including web design, web development, ecommerce, search engine optimisation, internet marketing and web hosting. With this comprehensive range of services, you can relax knowing that CD Web Design are making the most of your online assets. We offer truly bespoke web design and development services all performed by in-house professionals. Our services are tailored to your business's needs and we can develop internet marketing strategies that enable your brand to engage with customers, build loyalty and increase sales revenue. As well as a range of web design and search engine optimisation services we also offer graphic design and business branding. So try us out today.. When starting up a business there is so much to consider. Your new venture will need a professional appearance and style to project the right message to prospective customers. With CD Web Design you can ensure that your logo, stationary (including printing) and website will be designed and built under one roof. Our business start up packages are affordable and cost-effective and possibly more importantly, help to reduce the stress and hardwork from creating a professional company appearance and style. Your logo, stationery and website will be fully customised for your business. Flexibility is an important part of our design ethic so you can be sure that your style will be customised for your business. The packages shown right are just an example of what we can provide. These days it's important to not only have a web presence for your business website but one that will make an impact in the market and draw attention from potential customers. Your corporate brand is one of your most valuable assets as it shows your clients exactly who you are and the standards to which you hold yourself accountable. Our forward thinking web design team thrive on building new vibrant on-line brands! A professional website design is essential to make your business stand out in the market against your competitors. When a potential customer is surfing the web, they will look at a number of websites often offering the same product or service, however they may only inquire about one or two websites. A well designed website will ensure that yours has a good chance of being the one that actually receives the lead. Effective website design starts with an analysis of your online business objectives, your target market, and the message you wish to convey. At CD Web Design, we know that a dynamic website with great design and good usability can really make the difference to your business. By harnessing the power of the web in connecting you to your potential customers and making those all-important sales, your website is your 24/7 store and salesman. 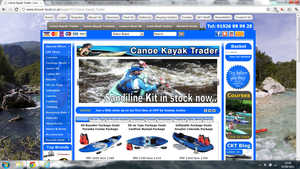 Our websites are a real investment, effective in making you money online. The result of our approach to web design and web development is that our websites not only look good but also work hard for the business. Our clients will receive a creative website with a user friendly layout that actually encourages lead generation and user interaction, as well as a layout built for search engine rankings. At CD Web Design we have extensive experience in our web development services. 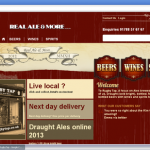 Our skilled team can create bespoke web applications exactly the way you want. You tell us your specifications, and we make it happen. We have tried and tested methodologies and processes which ensure you will have exactly what you need for your business. We also know how important is to manage your website’s content. 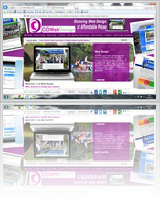 Our custom built CMS (Content Management System) is efficient and easy to use. You won’t need to become a web developer to update your website and if you need some help you can always contact a member of our team. We will be happy to help you in any phase of your project. Making sure your customers can find what they need.. Ever been so frustrated with a website, you've upped & left? At CD Web Design we understand the science behind making a website user friendly. 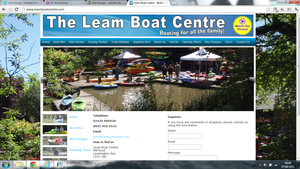 We can create an easy to use website for your customers. 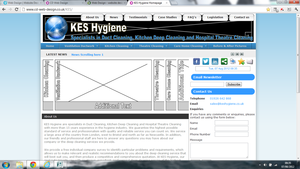 We create websites that are clear, fresh, comforting and easy to use. We keep things simple, so that your users get what you want to say and provide an easy mechanism for them to act in response. We leverage this knowledge to create interesting and effective Websites, for numerous and various clients across a wide range of sectors. Web usability is about designing and building your website in such a way that site visitors can find what they're looking for quickly and efficiently. 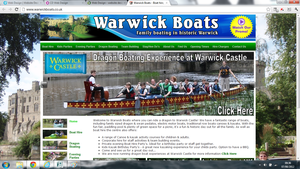 A usable website can reap huge benefits on to your website and your business. With the steady demise of printed media and the constant evolution of the internet, having a successful website design has never been a more important marketing tool. Of course it take more than interesting design to succeed online. Fortunately, investing in SEO from CD Web Design can help your website reach thousands of people a day. A website is a tool to attract customers and convince through text, images, video and media as to why you're the business to choose. A website allows you to provide concise and technical knowledge in additional documents for those customers keen to do thorough research before making a decision on which business to choose. There are two types of SEO; Organic and Pay Per Click. We specialise in organic SEO, which is the process of strengthening websites so that they rank highly in search results. We do provide Pay Per Click campaigns, though we consider this a short-term option and not the most cost effective option for most clients. We have developing and evolving our SEO skills for over 5 years. As the major search engines are constantly evolving their algorithms, we are always researching and adapting our approach. In fact, we have so much faith in our SEO services that you won't be asked to sign a contract; we know that we can do for your business works. Find Out more about our partners..
We often use a number of google products in customer design's including Google Search, Google Analytic's, Gmail, Youtube, Google Adsense, Google Maps and Google Webmaster Tools. Is one of the world's most dynamic content management system (CMS), we often use this to allow clients to change/edit their site in a live interface, without specialist knowledge or coding skills. Is one of the leading eCommerce Software, and is used for most of our builds, with fantastic user friendly features, great SEO framework, it is very easy for people to edit and update. We use Cybertill for some of our eCommerce builds, a fantastic cloud software, including epos, stock control, purchase order management, trade accounts, customer relationship management (CRM). This is not a complete list, we have many different systems & partners we can use depending on the exact client, application & budget. We can integrate any new systems with existing email management, accounting systems. We also make sure that all the aspects of the system work together to provide the most user friendly interface. We are well versed in staff training so you can use & understand these systems & processes.